Outsourcing can mean many things but the simplest explanation is that outsourcing is asking another company to do a job or perform a service that your company could do, but for some reason, chooses not to do. The main driver for outsourcing is normally cost; to decrease the cost of production of goods or decrease the cost of providing a service. 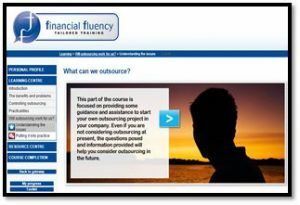 Outsourcing helps the learner discover the real benefits and problems of outsourcing, and helps them decide if it will work for them. 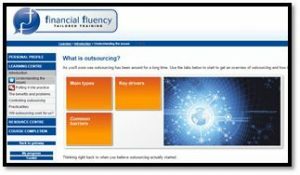 Outsourcing is part of our Issues and Debates suite of learning. Issues and Debates courses stimulate intelligent dialogue and debate and provide a valuable and evolving resource of professional knowledge and experience. These courses are topical, practical and highly relevant to today’s changing market. Each module is split into two activities: Understanding the issues and Putting it into practice. The first encourages you to think about a topic, drawing on your own professional experience and knowledge. The second helps you to put ideas and/or theories into practice as part of your day-to-day work. •	What is normally outsourced? Will outsourcing work for us? •	What can we outsource? 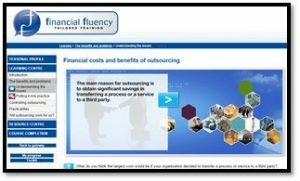 •	Why is outsourcing being considered? •	What does your company do well? 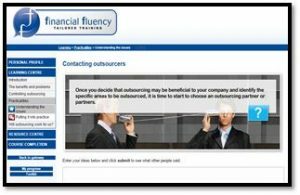 •	What can be outsourced? •	Are there cost savings to be obtained from outsourcing? •	What will stop outsourcing? Alan Lewin qualified as a chartered accountant in 1982 with Touche Ross (now Deloitte) in Leicester. Alan left accountancy practice in 1985 to start a career in lecturing and then consultancy. He initially worked for Chart Tutors (now Kaplan) running one of their examination centres, then moved back to Deloitte’s audit training department and then in 1996 established his own training company. Alan now specialises in writing and teaching the subjects of auditing, corporate governance, money laundering and information system strategy. His clients include Kaplan Financial both in the UK as well as other tuition and publishing companies. 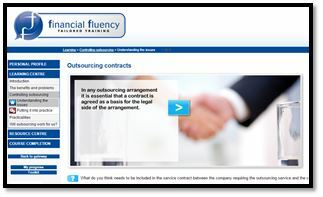 He has also presented CPD courses to a range of clients including accountancy firms and professional service companies. He also has examination experience with CIMA where he was chief examiner for 10 years and more recently ACCA where he was Audit and Assurance examiner for 5 years.